When Emma, Michael, and I were in Kyiv, I promised them we’d stop to drink a cup of “hot chocolate” (literally melted chocolate). I knew just the place to go, as I’d been there last year while touring around with a former PCV and her mom. It was a cold and snowy afternoon, perfect for a long stop in a cafe. 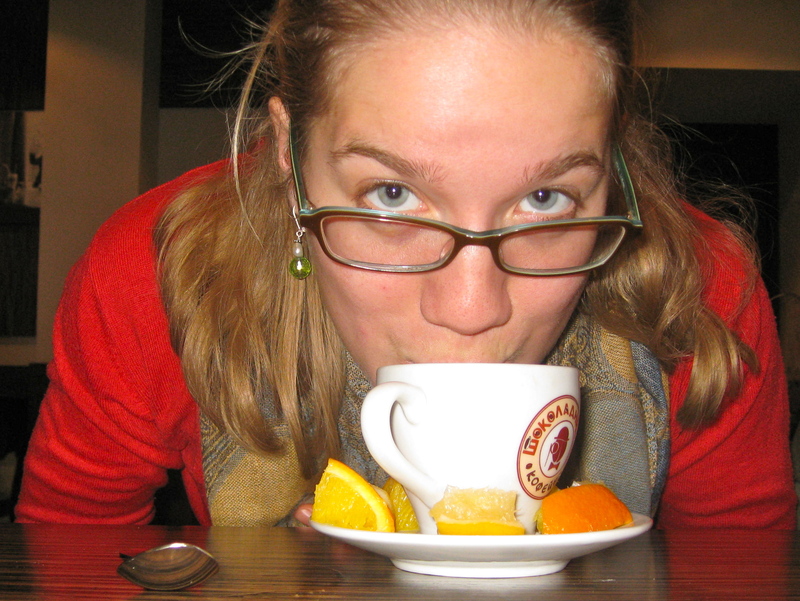 However, when I read the menu I found that I wasn’t actually in the mood for melted chocolate…my eyes were drawn to a special tea of lemon, orange, ginger, and honey, brewed in a French Press. It arrived and was incredible, like a nectar of health and vitality. I bought ginger in Kyiv with the intent of replicating the tea at home. My version isn’t quite as flavorful as the cafe’s but it’s pretty darn good. You can just feel your body soaking up the Vitamin C! 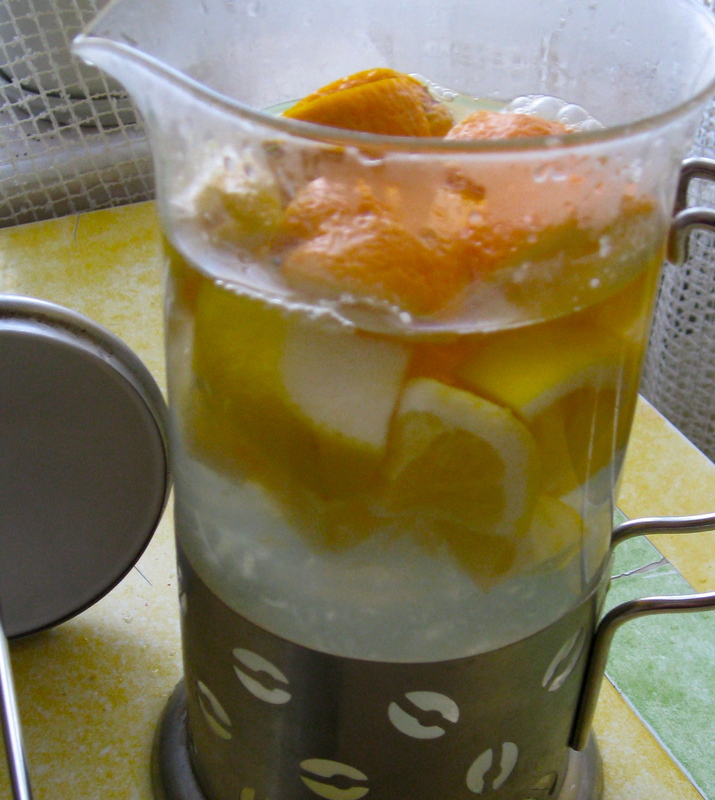 Prepare ingredients and combine them in the bottom of a French Press — squeeze the citrus sections before dropping them in. Fill the French Press with boiled water and let steep 5-10′. Plunge the French Press, pour into a mug, and enjoy! This entry was posted in food, health, Kyiv, pictures, recipes on 26.01.2012 by taplatt. Looks amazing. When I have a cold I boil cardamom, fresh ginger and a cinnamon stick and add honey and drink the tea. My take on East Indian “mooghly”. Rachelle, your version sounds amazing, too. I’ll try it!